The model GR3500 is a fully automatic grinder designed to grind your side, top and bottom knives in the head. The table travels automatically using a linear ball screw. Provides solid backing to the knife being ground. Workhead and the head carriage have their own guide bearings for added capacity. Programmable wheel wear compensation feature. 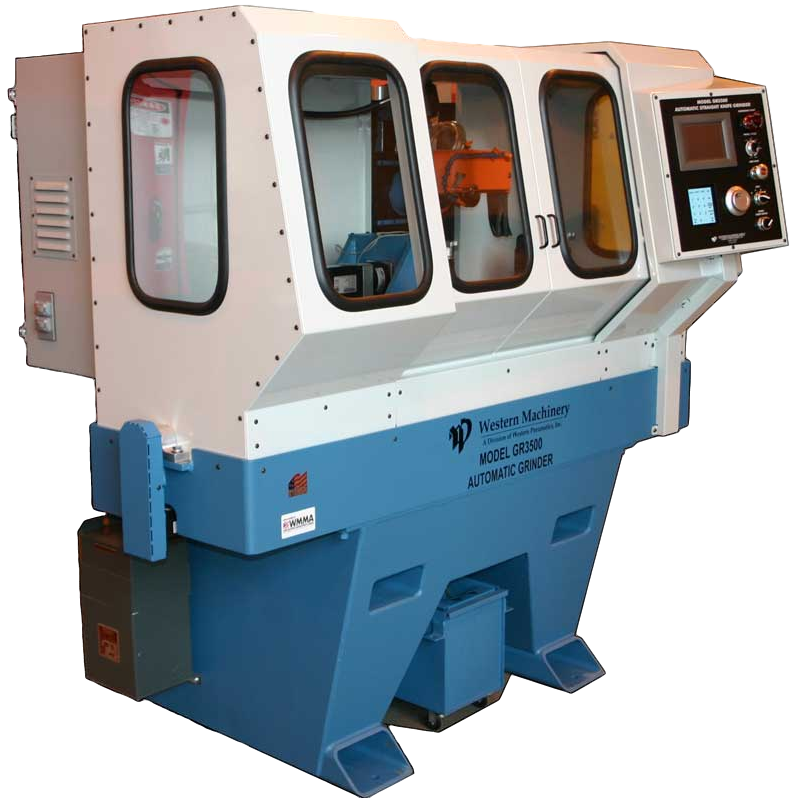 Grinder is fully enclosed for coolant containment and safety. Coolant guard opens for top load of large heads.